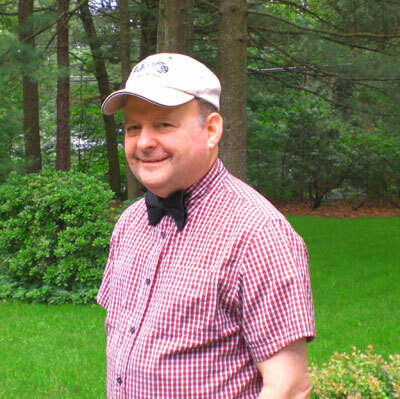 Carlton Pate, of Glastonbury, CT is a retired bank officer, professional model builder, model railroader, collector of antique cars and book author. With his brother and father, the first car that he purchased was an unrestored 1924 Model T Ford Tudor sedan. 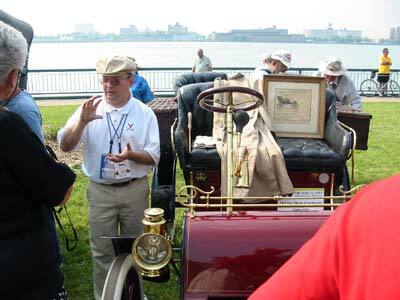 With his wife and brother, he has owned five antique Ford cars covering the period 1903 to 1924. He has driven the cars on tours and displayed them at shows on the east coast and in mid-central states. Carl is a member of the Horseless Carriage Club of America, Antique Automobile Club of America, Model T Ford Club of America, Autoneers (a regional tour group) and he is the President of the Early Ford Registry, Inc. He and his brother organized the Early Ford Group (early 2-cylinder Ford cars) and Carl has for 6 of its 9 years been the administrator of the Horseless Carriage Club of America's Century Old Plaque Program that honors vehicles that are 100 years old. His antique car focus is on researching, gathering and sharing early automobile historical information; assisting and promoting communication between owners and those interested in the early cars; and he encourages owners to document the history of their cars so that their stories are not lost. In 2008, after years of research, collecting information and 3 years of writing, he completed and published a book that has been recognized around the world (being read in 17 countries) as an authority on early Ford Model cars before the Model T - "Pate's Early Ford Automobile Encyclopedia (The Ford Cars 1903 to 1909)". Years of study have given Carl a high appreciation for the early forgotten Ford cars that still exist today. Though the Model T is the best known Ford and has been rated as one of the best 100 cars ever made in America, it was the earlier Ford model cars before it that allowed the Ford Motor Company to gain the knowledge and experience that was needed to create a "Universal Car" that changed the world and every day life.